Forget about the Waffle Taco, there's a new crazy fast food item to chatter about and plan to eat. Fans of the Double Down, or crazy fast food ideas in general, rejoice. 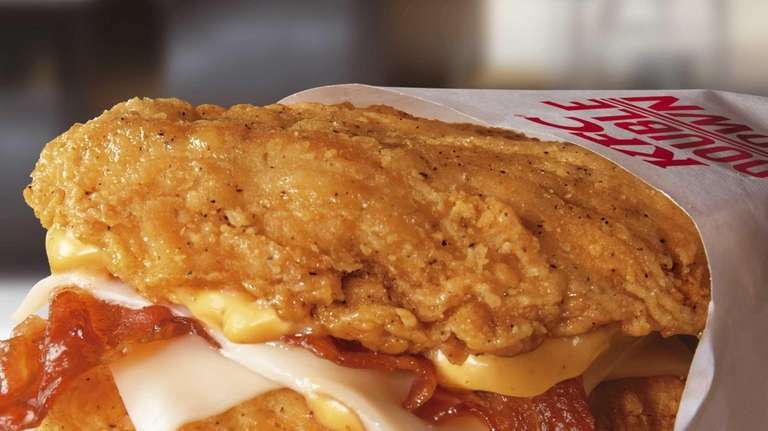 KFC has announced the sandwich, which consists of two boneless fried chicken pieces with bacon and cheese in between, will return on April 21. This major breaking news was broken by USA Today and indeed, it is big news. You remember back in 2010 when the Double Down first hit, right? But you better get there and eat it fast because just like last time, and like all great things, the second age of the Double Down will come to an end on May 25. This is limited edition, people. Oh, lastly, the sandwich also comes with "glow sauce." Uh-huh.